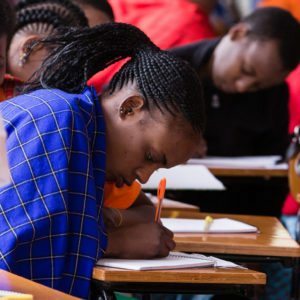 We envision a future in which every young woman in Africa has access to the tools, role models and confidence she needs to become a leading voice in transforming her community and nation. Thank you for your contributions toward our Kisa Scholars. We are proud of our Scholars and are grateful for your support to make their dreams a reality! 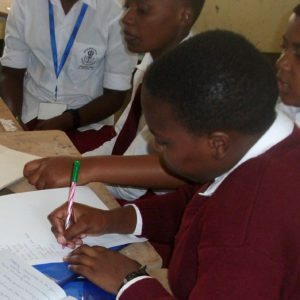 Our Tanzanian mentors provide training in leadership, confidence, entrepreneurship, healthy living, and life skills to empower Tanzania’s brightest and most motivated young women to reach their full potential and become catalysts for change. 93% of our Scholars continue to a university education in a country where only 3% of women receive a tertiary education. If you would like to send a letter, please mail your letter directly to AfricAid’s Tanzania office at PO 12246, Arusha, Tanzania. Remember to clearly mark your Scholar’s name and the school she attends. Letters may take several weeks to arrive. We have an email account dedicated to Sponsor-Scholar Communications. 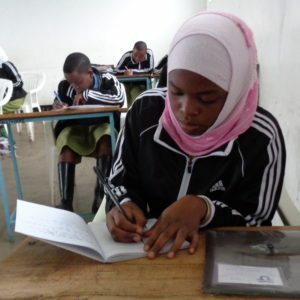 Please send an email to kisa.communications@africaid.com with your Scholar’s name and School in the subject line. Our mentors will print if out and deliver for you. Scroll down and fill out the information in the form below, including your name, scholar name, scholar school, your email, and a message. Our Mentors will receive the message as an email, print it out, and deliver to your Scholar.